Pour brownie batter into a greased 13x9 inch pan and place in oven to bake for 20 minutes. While the brownies bake, mix together the butter, brown sugar, corn syrup, eggs, vanilla and salt. Stir in the pecans and mix thoroughly. 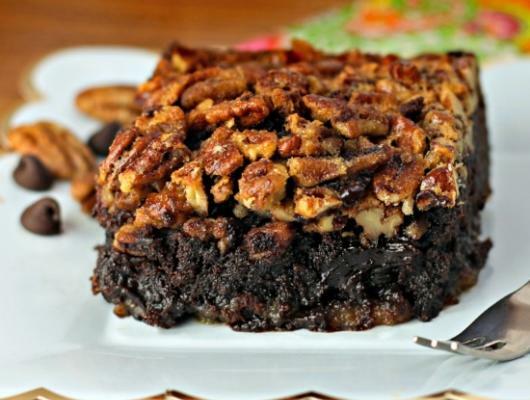 After 20 minutes remove the brownies from the oven and pour the pecan pie filling over them. Place them back in the oven and bake for 30-40 minutes (the filling in the middle will only jiggle slightly when you move the pan). 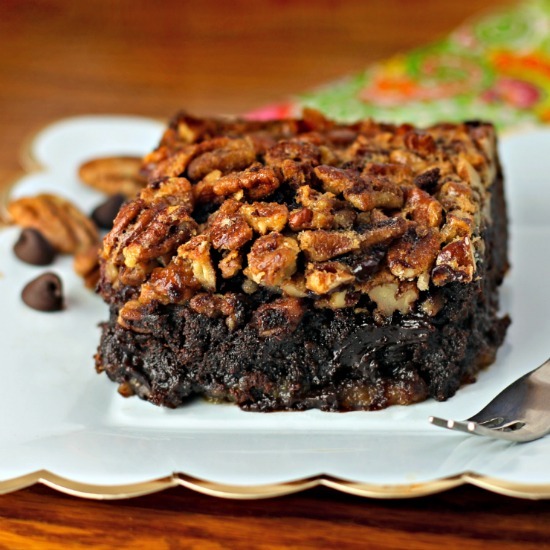 These Best Pecan Pie Brownies are fudgy brownies topped with a crunchy, nutty, buttery brown sugar pecan pie topping that create the perfect gooey dessert!